Many children write to Santa with questions and Christmas wishes – today, he answers a common question. Mummy says we are coming to see you this Christmas! Where is Lapland, and how will Mummy know where to find you? Of course Mummy knows where to find me – Mummies know everything. I could talk all day about my beautiful home in Lapland, from the pristine fluffy snow to majestic wildlife, gorgeous lakes and native forests. Children often ask me what my homeland is like, so today I’d love to answer some questions about Lapland. Lapland is in the Arctic Circle, near the North Pole, so we enjoy sparkling midnight sun during summertime and lovely long nights in winter. It isn’t exactly a country in its own right, but covers parts of Norway, Sweden, Finland and Russia – my home in magical Saariselkä is in Finnish Lapland, which is fitting as I love a good hot Finnish sauna. Finnish Lapland has beautiful lakes and marshes in the summertime where my elves go fishing – and they also go ice fishing in the winter with our visitors. Lapland even has its own football team, the Sámi Spábbáčiekčanlihttu. If Lapland isn’t a country, then what is it? It is the traditional homeland of the indigenous Sami people, who call the area Sápmi. They have lived here with me since long before there were national borders. The Sami are the local people of Lapland (along with myself and the elves, of course). They are most famous for being nomadic reindeer herders, and many still herd reindeer today – although nowadays you are more likely to see them herding with a skidoo than on foot. The skidoo, reindeer and huskies are still the best way to get around in Lapland, and our visitors love taking mini-skidoo rides, flying through the twilight on a reindeer sleigh, and making friends with the huskies who pull them through the snow. 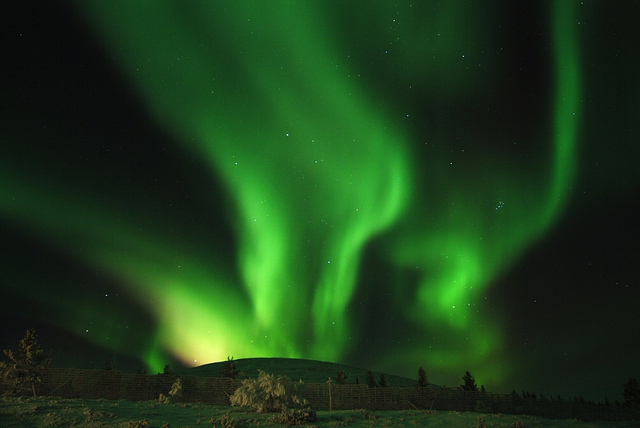 Can I see the Northern Lights in Lapland? Yes! While there are no guarantees that the aurora will put on a show, Lapland is one of the best places in the world to see the Northern Lights. I am extra excited this year, because NASA says that we will see the strongest Aurora Borealis in 11 years. This is one of the reasons I love the long winter nights here – the dreamlike ribbons of dancing green light make the hard work at Christmas worth it! Check back in a few weeks to read more about the incredible aurora, but in the meantime, you can read more about my Northern Lights Adventure here. Do you have a question for me about Lapland? Let me know in the comments or on Facebook! Images from Tania Ho and Visit Finland.